I've written a lot about the memorable and sometimes beautiful graffiti I have seen along the way on my trip but I've never really thought about the consequences that graffiti has on the city and the property owners after snapping my photo. Well, one day in Lviv I got to see first hand the cost of the graffiti that I find so interesting. 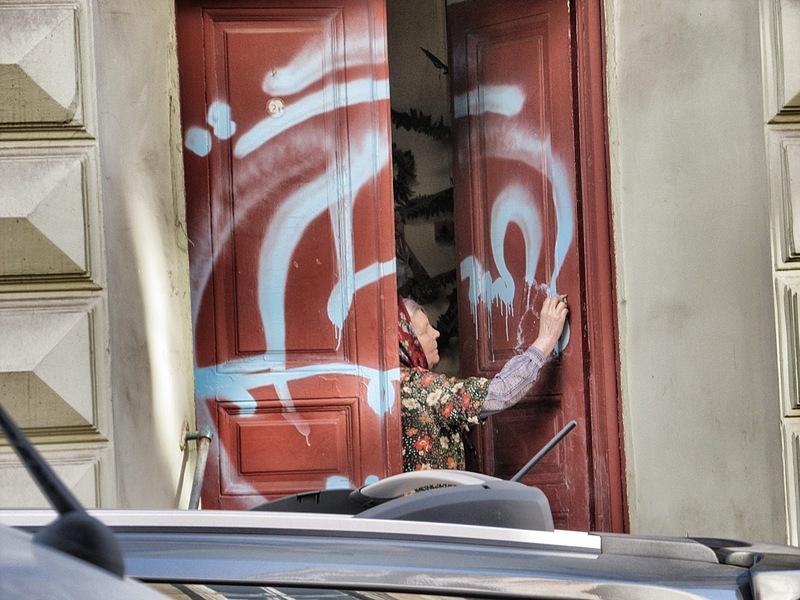 The babushka scrubbing her door in disgust is something I won't soon forget.